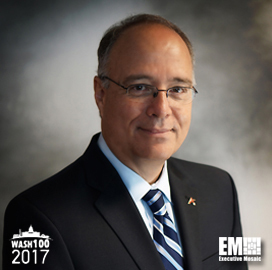 Executive Mosaic is pleased to announce Peter Smith, president and CEO of American Systems, as an inductee into the 2017 edition of the Wash100 — Executive Mosaic’s annual selection of influential leaders in the government contracting arena. Smith first joined the Chantilly, Virginia-based employee-owned contractor in 1980 and was promoted to the CEO role in 2014 after four years as an executive vice president and chief operating officer. American Systems landed a major fifth-generation fighter jet testing contract in June 2016 nearly three-and-a-half years after the company purchased the former test-and-evaluation business of Science Applications International Corp. In September 2016, the government services contractor secured a potential five-year, $52 million contract for continued professional engineering services to the Defense Department’s developmental test and evaluation office. He noted that award as part of efforts to extend American Systems’ profile as a provider of test-and-evaluation technologies and services. Two months prior, the U.S. Navy chose the company to continue to operate the service branch’s support center for troops and families under a potential five-year, $42.5 million task order. “The Navy 311 Support Center plays an important role in providing real-time, 24/7/365 response to a variety of issues that our Navy personnel face, from supply and logistics to quality of life matters,” Smith said at the time of the award. 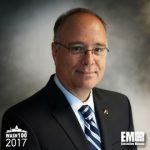 Smith’s career at American Systems has included roles such as VP of systems group and engineering, as well as EVP and general manager in charge of business development and delivery operations. He is vice chairman of American Systems’ board of directors and sits on the board of the Professional Services Council. Executive Mosaic congratulates Peter Smith and the American Systems team for their selection to receive this award.